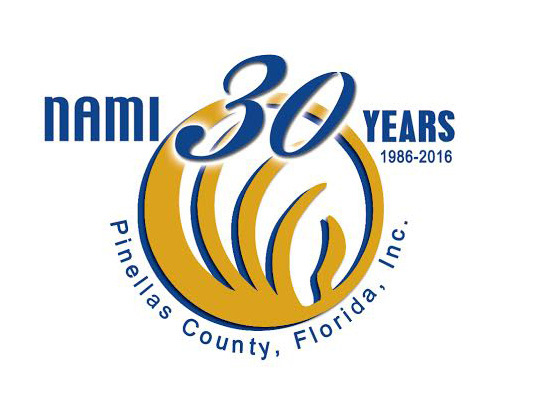 NAMI Pinellas Celebrates 30 years in the Community, Thanks To Your Support! Serving Clearwater, Dunedin, Largo, Oldsmar, Palm Harbor, Pinellas Park, Safety Harbor, St. Petersburg, Seminole, Tarpon Springs and the beaches. Visit this website often for program updates and Special Events information. NAMI Pinellas County specifically wants to thank Central Florida Behavioral Health Network, the Florida Department of Children and Families, System of Care (SOC), and NAMI Florida for their generous and ongoing support. We also thank our Community Partners whose considerable support of NAMI programs and services help sustain our local organization: Lightning Foundation, Windmoor Healthcare, Guardian Trust, Empath Health, and Gentile Group.